This was found on outside our barn sheltered by our lean to. Today has been a beautiful sunny, cloudless day mostly in the mid 50s. I e never seen a spider like this before! Is this little guy poisonous? He’s less than an inch big including body and legs. All spiders are venomous, but these guys aren’t dangerous or considered medically significant. 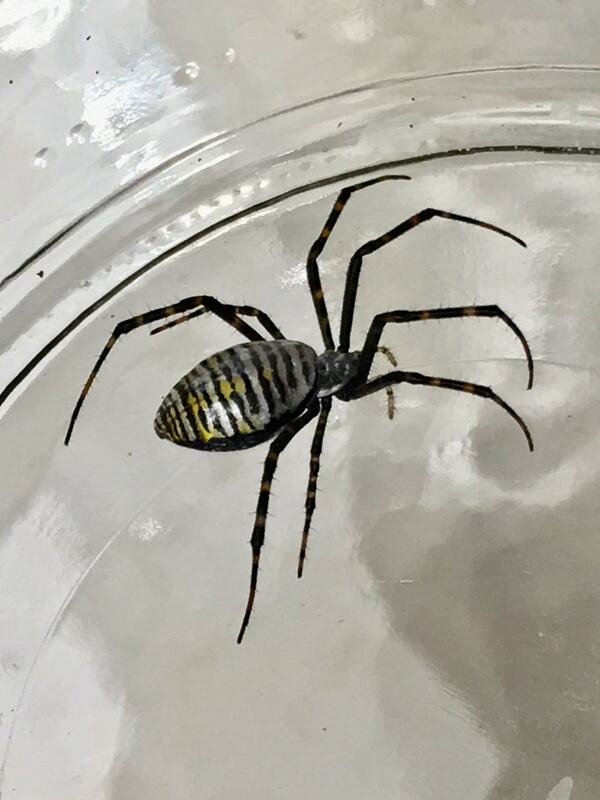 This particular female appears to be Argiope trifasciata, and a beautiful one at that! Well!…. that’s just pretty cool! Thank you so much for helping me identify this little girl!!! I am terrified of spiders but at the same time am so very much intrigued by them all – crazy mix of feelings! Lol!! Thank you Disco!